Take a look at our fantastic selection of cruise deals departing from ports all over the world and taking you to some of the most incredible destinations on the planet, at amazing prices! Late cruise deals are the perfect way to get some last-minute sun or to book a spontaneous cruise holiday. Are you ready to discover a new and exciting cruise destination that you wouldn’t have considered before? If you aren’t overly attached to a particular destination or are more motivated by the price of a holiday, take a look at the range of last minute cruise deals below and choose your next holiday, departing from dates as soon as the next couple of days! In order to search our late cruise deals by the closest departure date, make sure you use the filter above to sort by ‘Sail date – Low to High’, this will give you a descending list of departure dates to help you choose your next late cruise deal. A clear advantage of booking a late cruise deal is, of course, the reduced price. Many of our last-minute cruises are offered at reduced rates, some are even up to half their original price. We can offer late cruise deals to destinations far and wide, from the Canaries to the Bahamas. 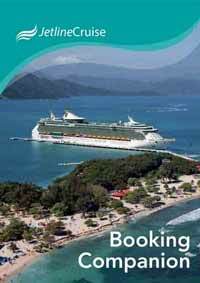 Our late cruise deals operate with all the major cruise lines such as P&O Cruises, Cunard, and Royal Caribbean. With hundreds of late cruise deals on offer, you’ll be spoilt for choice at the selection of cruises on offer. 1202 Result Found Matching Your Search.